Kat at Heart 2 Heart bestowed this beautiful award on me. 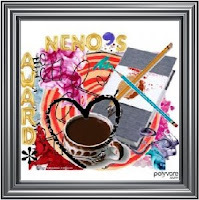 The Neno Award is given to those who love blogging, love to encourage friendships through blogging, and who help others seek the reasons why we all love blogging. Kat also had the following words to say. 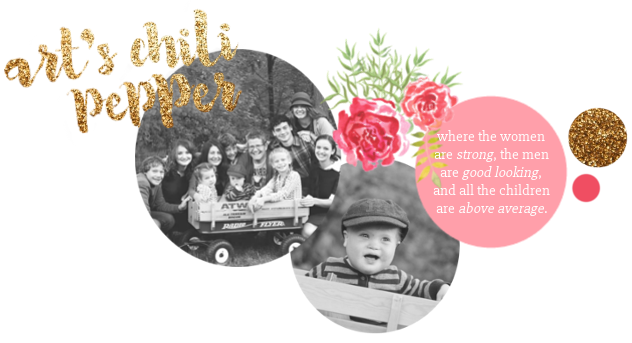 Which I think was such a creative description of my blog that I had to share them with you. "Yeah I know you must be thinking unless you are following Kat's blog, hmm just what lies beneath that title? A great mixture of all kinds of things, much like chili. You add a little of this and a little of that, and before you know it, you've got something amazing that you can't get enough of." If you think that is some great use of words, you should stop by Kat's blog, and read some of her posts. In one sentence she can be witty, encouraging and inspirational all at once. And she is currently doing it while recovering from a nasty skating accident that left her with a broken tail bone. I would like to pass this on to the following bloggers. Tim at Ft. Thompson because I just think it is very cool that he is in here with us (mostly) ladies for the journey. As shared with him, my dear husband knows computers and the Internet and reads my blog but would never dream of venturing into blog world on his own. And anyway, you've got to love a guy who is building up black mail on his kids before they are old enough to start school. Check out this post to find out what I mean. Mimi at He & Me + 3 and Erica at Scottsville because they are so eager to help out the less fortunate among us in blog world and answer all my html questions. And I should never forget to mention that they are just plain funny ladies. So if you are in need of a laugh go see them. Or stop at their alter ego, Five Moms and a Blog. You might me some of the other great moms while you are there. Congrats on your award and thank you for mentioning our blog! I know so little about blogging and learn a little more and more as I go, thanks to other people helping (like Erica or Mimi. I am learning some more from the McLinky blog too! Thank you so much that was so sweet of you. Not a problem...I am more than happy to help when I can. It is all fun learning & meeting new people in the process. Thanks Kat your the best! What an honor to be mentioned here with two of my goood friends Mimi and Erica! I will post it as soon as I can! Thanks again! Congratulations for receiving this well deserved blog award. I truly think you need to get the all! You are just that amazing!! I love all the blogs you have passed it along to. It gives me new places to visit and find new friends. Here is hoping that you have an absolute wonderful weekend. Congratulations on this award! Most definitely I truly believe you have a wonderful, sweet heart, as you bless me with encouragement all the time. Congrats on this cool award...you so deserve it! And the blogs that you passed it on to do as well! Hope you are enjoying your weekend! WOOO HOOOO! Love you Mom! You deserve it! It is always a blast to read your blog! Sooooo entertaining. Like a funny, sad, witty, cleaver, freaky (because it is real life) novel. Congrats! This is a good award for you. I'll be back. I'm trying to find the True Heart Award you gave me so I can pass it along now. I believe it was August 7th. I finished passing along the True Heart Award you gave me a week or so ago. Thanks, Kat. That was so nice of you.